What is it about our fallen nature that seems to make God’s great commandment—to love Him and our neighbor—difficult? What is it about disobeying the first commandment that God ever gave to man—don’t eat of the tree of the knowledge of good and evil—that we find in ourselves and are generally so easily given to? It seems fair to say that without a satisfying answer to these questions, we find ourselves simply “shadow boxing” and not knocking out the opposition that keeps us from living life more abundantly on the terms God provides. 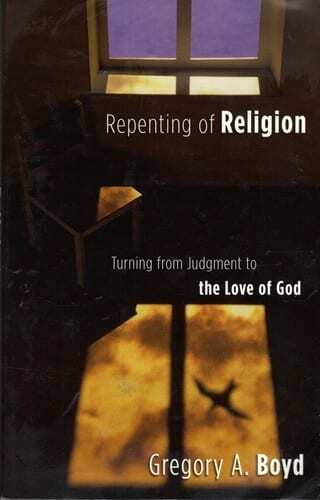 Author Gregory Boyd presents a sobering but fascinating read in his 2004 publishing of Repenting of Religion: Turning from Judgment to the Love of God. In it, he proposes, with good scriptural documentation, that the subtle (and not so subtle) judgments and indictments we pronounce on others is a dominant thing that keeps us from experiencing God’s love in greater ways and keeps us from loving others the way God wants us to. Summarily, he makes a good case that man’s default way of getting life (you might remember that “tree” from Genesis) is to make ourselves “good” by playing Judge toward others and indicting them as worthless or “evil.” Boyd points out that that was never a position God gave to us and that it is not the way to real life. Rather, he shows that God’s way of love is the answer to our desire for life, and that is found only in Jesus Christ and our putting on the mind of Christ. I don’t know if Boyd’s assessment of the tree of knowledge of good and evil is exhaustive in its explanation but it is thorough. From a scope of Scripture and from observing myself and others, it seems to make good sense and is relevant in helping us become more aware so we can more effectively conquer at least some of what stops us from living out the Great Commandment: Love God and love our neighbor. By and large, this work is written with good logic and doesn’t overwhelm the reader with dry academia. It is written in a manner that appeals to the average layperson. Boyd’s traditional view of the “Trinity” is evident, as are a few other typical “Christian” errors, but these are easy enough to read around without compromising his message and its lesson. Available on Amazon.com in either Paperback or Kindle.